Lot 159. 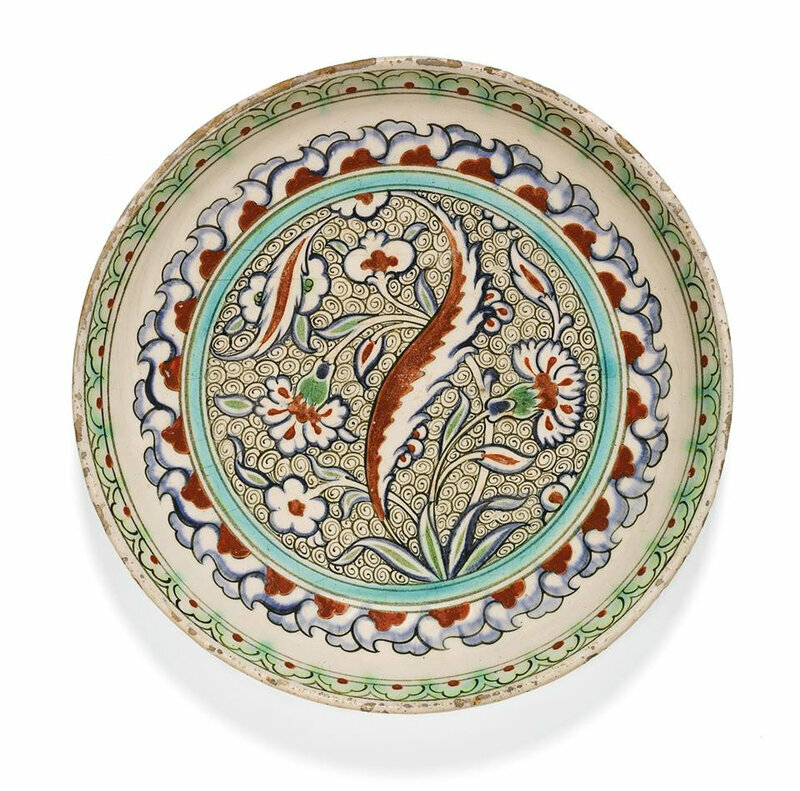 An Iznik polychrome pottery dish with a wave-scroll ground, Turkey, circa 1585-90; 28.7cm. diam. Estimate 5,000 — 8,000 GBP. Lot Sold 6,250 GBP. 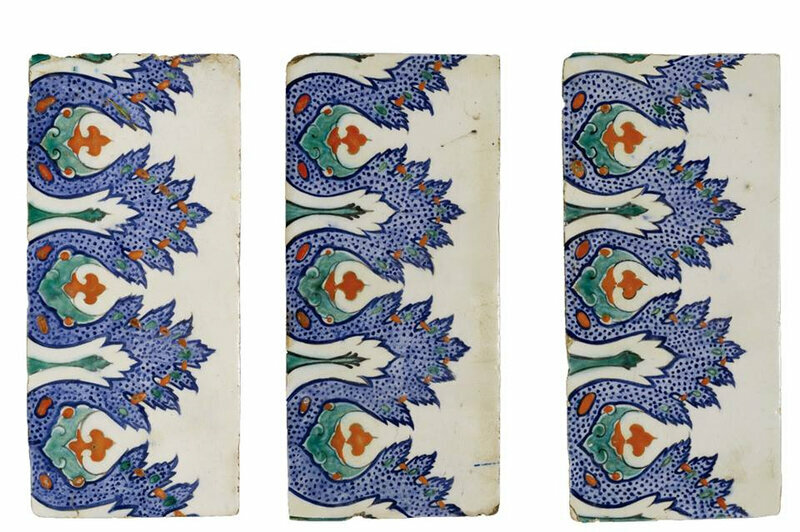 Photo: Sotheby’s 2014.
of deep round, rimless form, decorated in underglaze cobalt blue, viridian green and relief red with black outlines, featuring a foliate tuft comprising a saz leaf, carnations and daisies on a wave-scroll ground, bordered by a stylised wave border, plain exterior, the rim with half-flower band, old collection label to underside. 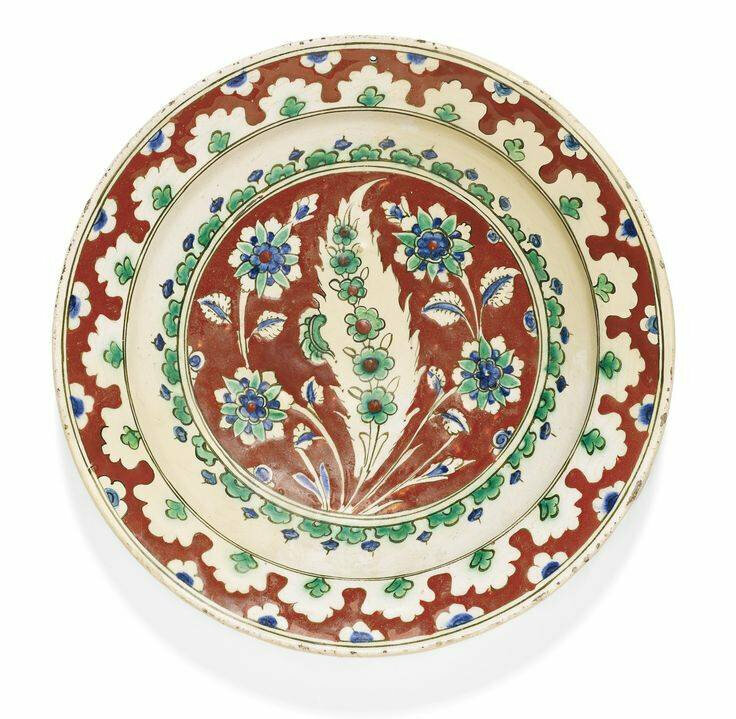 Note: A very similar dish, combining a tight-spiralling scroll ground with a tuft including a saz leaf and floral blossoms, bordered with a stylised wave pattern and a petalled ring is in the Ashmolean Museum, Oxford, inv. no. 1978.1427.